Dry-Hopped Cherry Weizen is a beautiful opaque, cherry pink body with aromas of cherry pie, clove, allspice and ripe banana. Bitterness is low and the mouthfeel smooth and creamy. A burst of fresh dry-hopping takes your palate on a zesty and tropical fruit ride, showcasing Australian Summer, Azacca, Cascade and Centennial hops, with a delicious weaving of flavours of fresh cherries, clove and banana with tropical fruit and citrus. 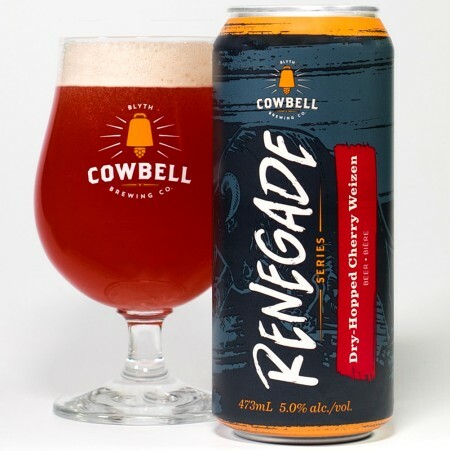 Dry-Hopped Cherry Weizen will be released on August 31st in 473 ml cans exclusively at the Cowbell taproom and retail store in Blyth. It will also be on tap at Cowbell and select bars in Ontario during the month of September.